Covenant College affirms its commitment to ensure that individuals with disabilities have an opportunity equal to that of their non-disabled peers to access information, benefits, and services delivered via the www.covenant.edu website, except where doing so would impose an undue burden or create a fundamental alteration. The College is actively working to increase the accessibility and usability of its websites. Covenant College will utilize the W3C Web Content Accessibility Guidelines (WCAG) 2.0 Level AA and the WAI Accessible Rich Internet Applications Suite (WAI-ARIA) 1.1 techniques for web content as standards by which its website accessibility conformance is measured. These standards help make the web easier to navigate for people experiencing vision problems, dexterity issues, hearing differences, neurocognitive barriers, or other challenges. While Covenant College strives to meet these accepted guidelines and standards for accessibility and usability, we also seek feedback from our website users to help guide our efforts and point out areas of difficulty. If you require any information from this website in an alternative format, or are experiencing difficulty in obtaining information or services through this website, please email the Office of Marketing & Communications at web_admin@covenant.edu. When submitting feedback, please include your name, contact information, page URL, and a description of the specific problem you encountered. 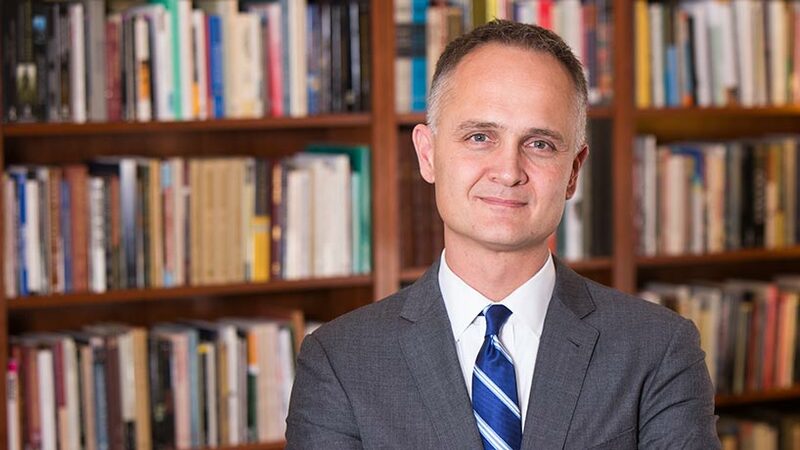 President Derek Halvorson draws a comparison between the prophet Daniel's exile in Babylon and the situation of faithful Christians in today's American cultural context.